Jessica discusses her work on Atlas, the importance of the Raven Values, and her part in spreading community awareness of Raven. 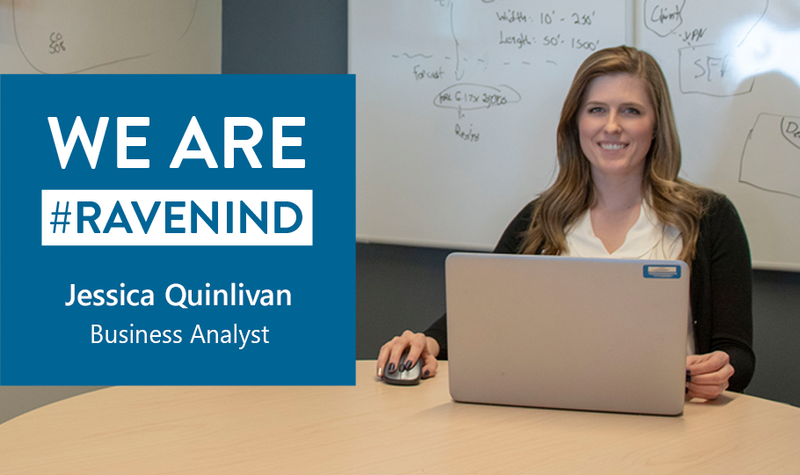 Meet Jessica Quinlivan, a Raven Business Analyst. Jessica works in our Corporate Services division, which means she supports teams, processes, and software in all three of the company’s business units. In her “normal role” at Raven, Jessica helps make improvements to corporate reports and systems. However, about a month in to her Raven career, she started working on a new project — Atlas. Project Atlas is our commitment to completely replace and modernize our computer operating systems. Before Atlas, Raven had several disconnected computer systems, which often slowed down our ability to appropriately respond to business and customer needs. The new system, Atlas, will be an efficient system for running a business as dynamic as Raven. Jessica is working on the sales, customer relationship management (CRM), human resources, shipping and receiving, and document management properties of Atlas. She exemplifies the Raven values of humility and authenticity in her everyday work as she gathers feedback from end-users, tests new solutions, and trains team members accordingly. Jessica is relatively new to Raven, having been here for about a year and a half. However, she is already enthusiastic about our purpose to Solve Great Challenges and sharing the Raven story. When describing the company to family and friends, she often finds herself explaining each Raven business. However, Jessica noted that our values are just as — if not more — important. After a short time with the company, Jessica jumped in as a Raven Ambassador, joining a group of highly-engaged team members that are focused on growing awareness of Raven in our communities. Jessica joined the community awareness committee because, as a new team member, she didn’t know much about Raven — and as she learned more, she wanted to share more. Her initial idea to share the Raven story, since people in the Sioux Falls community generally associate Raven with hot-air and stratospheric balloons, was to hand out small balloons at events and parades. 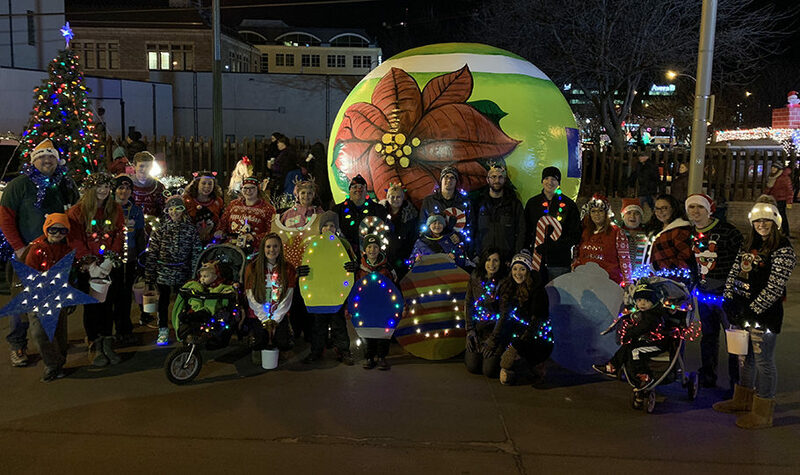 However, instead of handing out lots of small balloons, Raven ended up featuring one large one in the 27th Annual Sioux Falls Parade of Lights. Jessica stepped in and helped manage this fun project, turning a large test balloon into a beautiful Christmas float. “It was kind of like getting to achieve my pipe-dream,” Jessica said with a laugh. All in all, she said the team did an amazing job in putting the parade float together — from the Aerostar team members who came up with the original idea to the enthusiastic team members who worked extra hours to complete the float. Going forward, the Ambassadors are looking to promote Raven in an authentic way by attending community events that align with the company’s values and purpose. They are also leading efforts to expand Raven brand awareness through social media (#RavenInd) and other communications, as well. In addition, another Ambassador team is spreading the word about Raven by educating and mentoring students through Science, Technology, Engineering, and Math (STEM) programs. So, if you see Jessica representing Raven at a community event, stop by and say hello! She would be delighted to tell you more about the exciting things happening at Raven.